Máster Universitario en Gestión Cultural - UIC - MA in Arts and Cultural Management: Our alumni Masha Khodykina: "Show initiative and creativity, and be not afraid to take responsibility for your words and ideas"
Our alumni Masha Khodykina: "Show initiative and creativity, and be not afraid to take responsibility for your words and ideas"
We introduce you to our alumni Masha Khodykina, a Russian who studied in the English edition of the Master’s Degree in Arts and Cultural Management at the UIC Barcelona during the academic year 2014-2015. In this interview she will talk about her interesting experience at working on cultural projects in her country and in Barcelona -where she will present her own cultural project soon-. In addition, she provides us with some examples about the cultural areas where to work as cultural managers. Question. Masha your participation in many cultural projects has given you a very interesting experience for your training as a professional cultural manager. Could you explain some of the projects in which you participated before starting the Master's Degree in Arts and Cultural Management at the UIC Barcelona? Reply. I stepped on a working path at 18 and since then I’ve never stopped working. I've experienced everything, from failures, working routine and euphoria of success. I worked as a journalist, PR manager of a football magazine, and the last four years I spent in event agency AXIS, whose portfolio includes a lot of major events held both in Russia and around the world. There are two special projects I personally like the most. The first – international festival of industrial design called “Design Act”. The festival is done by the agency as its own project, not for a client as usually the case. When I joined the team, the festival was already 4 years old. Each year was different from the previous one and had its own difficulties and problems. My colleagues were literally knocking on all known and unknown officials’ doors, sponsors, and the audience, trying to explain what industrial design is, why it needs to be shown, why it is very interesting and reflects how society lives.In Barcelona, the Museum of Design, in my opinion, has found a very clear and inspiring solution: texts and storytelling by the example of the Catalan design show that everyday objects we use in our lives are actually the fruit of someone's creative thought.The second project – the MegaFaces pavilion at the Olympic Games in Sochi. The pavilion was built by the general partner of the Games­ Russian telecommunication company MegaFon (almost like Vodafone). It was a pavilion where on the wall three ­dimensional portraits of scanned fans appeared with the size of a three ­floor building. It is difficult to describe in two phrases, so I recommend to take a look at the video. Out of this advertising project emerged a new form of art. I was fortunate to work in one of the most professional agencies in Russia in collaboration with incredibly talented architect Asif Khan and his team from London, as well as with technology gurus Swiss company IART. In fact technology like this was never used nor done before. There were millions of risks, but everything was possible because of the professionalism and courage of the team. My work was PR, and huge number of many well known international and Russian media wrote about this project. It was a success, which was subsequently awarded over 40 international awards, including the first Russian Grand Prix in the innovation category in Cannes Lions, the main advertising festival of creativity. To understand the scale of the success and importance, on the stage in Cannes receiving the awards were not only global agencies with legendary history, but even Bono from U2. In general, recalling the famous slogan – everything is possible. Even before the Olympic Games in Sochi, where I spent about a month, I decided that I wanted to expand and change my life by 180 degrees in the direction of what (10)Fundación Ecoplanet­ (1) I’ve always liked the most ­ culture. I believe that the level of culture is the energy for development and growth (and it's not just about progress and technologies, but also about the wisdom of humanity as a whole). I really wanted to use humanity’s accumulated experience to strengthen my theoretical knowledge and to start doing on a new level something that I believe in. Perhaps, this is the way I can be useful. Question. After your arrival in Barcelona you worked for TVOI GOROD, "a guide to learn more about the city of Barcelona in Russian". How did your collaboration come about and can you describe some of your daily activities? Reply. After a very difficult project in Sochi, I decided that this year would be a time­out. I will study, visit different museums and meditate by the sea. But it turned out to be an illusion. On the Internet I saw the web­site about Barcelona in Russian, which at first glance I really liked. This is a great product, not made in a hurry, as it often happens in publications with a small team, but very professional product in content and design. I wrote to the publisher with the idea of working as a volunteer at the Art Market at the Museum Maritim, which was organised by the magazine. When I see an interesting project, it is hard to stop myself, so I joined the team. I wrote articles and also managed their facebook community. Because of other projects I had to reduce my participation to conduct my own column, but it is also interesting, I really like to share my thoughts and opinions and always dreamed of doing this. You also collaborated with Sonar, the International festival of Advanced music and New Media Art in June 2015 in the city of Barcelona. How and when did you find the opportunity to work in one of the biggest and most influential international festivals? Reply. Sónar is an extremely interesting project. The first time I came to Barcelona for the festival was a year ago and I couldn’t imagine that I would ever be part of the Sónar team. But one great day Georgia Tagletti, the Head of Communications of Sónar festival, held a master class in our marketing class. She mentioned the Russian market, which is certainly huge, but the question is how to increase the popularity of the festival there? Russia even has its own Russian ­speaking Facebook, Vkontakte, so without a Russian­ speaking person it is really difficult to manage. During the break I went over and said that I am that person, and the next week we had a meeting at their office. Question. During 2012/2013 we had the honor of having in the classroom the presence of Georgia Taglietti, Head of the Department of Communication and International Press at Sonar, who gave us a valuable masterclass on its mission. From your experience in the organization, could you explain what were the challenges facing Sónar in the year 2015? Reply. Georgia had said that this festival would be more than just a techno party, much more. Indeed, if the product is only limited, then the brand will not have the unique selling proposition. Сoncerts can be done anywhere, by anyone. There are more people who come every year to Sónar because of the atmosphere, the ability to listen to progressive music and see advanced technologies. In this sense, Sónar Day is very interesting, especially Sónar + D, which is a platform for presentations, discussions about new creative technologies. It is a priority to be unique and provide different opportunities for the participants. Question. Masha, compared to your country of origin, Russia, what differences do you perceive between cultural activity and management in your city and Barcelona? What do you think about the Hermitage in St. Petersburg, one of the most influential museums in the world, opening an affiliate branch in Barcelona? done for the Catalans in terms of culture, and I think sometimes it's too much, as other residents of the city (and there are a lot of foreigners) can not participate in this. For example, I love theater, but theater here rarely has English subtitles. As for the Hermitage, it is not the first project of its kind. Another Hermitage has already been opened in Amsterdam. In my opinion, this is a very interesting project. The Russian Hermitage has a great collection created by our kings and patrons of the arts and also it has a very strong brand, so the project can be very successful. It is very interesting how it will be in Barcelona, because the curator of the project is Jorge Wagensberg who created, in my opinion, one of the best museums in the world: CosmoCaixa, and the author of the concept of "Total museology". And as a curator of science museums in this case he will create an art museum. It must be more than amazing! I came to Barcelona with the idea to try to do my internship here, but now it is not possible due to different reasons. But I sincerely dream to get acquainted with the genius of the museum world. Question. With your extensive involvement with the city of Barcelona and cultural management, could you share with our readers about the cultural project that you are working on? Reply. While studying Cultural Management at UIC it is impossible not to think about starting a business here and now. Especially during the subjects "Tools" and "Creation for cultural companies" with inspiring professors Mohammed Elrazzaz and Tomislav Rimac, whom I have nicknamed «Tom is love». With my friends from Moscow we decided to try to do business in Barcelona: it is called Lock­clock, a game which teaches culture, teamwork, develops creative thinking under pressure. People are locked in a special building where they tour different theme rooms and they have one hour to find the key to exit. Our project is different from all the other 'escape rooms' out there. It is more culturally rich, advanced, and with more fun and inspiration. We hope that after this game people learn more about Barcelona and its related topics, and it will inspire them to explore the city more. What will be in these rooms is of course a secret, but Lock­Clock will be opened very soon, and we hope that people will find it extremely interesting. Can you describe a bit more about how did you develop this project? Which are the main problems did you tackle? Reply. We are a managing team of three people from Moscow. The scriptwriter is the filmmaker Antón Lanshakov. He is very young and very talent and he is the person who developed all the idea of the games. The scenography and structure was designed by an architect and it was build by an artist. There will be a staff of people guiding the visitors and there will be another staff in an office with cameras monitoring the show. Last year, when we started developing the idea there were just around five similar projects. Unfortunately now there are like 35, some of them have franchises around Europe. We found this place (building) on february 2015 - one year ago already - and we are just now finishing it. It´s quite difficult because there are always some problems, some issues to solve and they demand a lot of time and money. When you think on a project, you have to think in many things such as contracts, negotiations, promotion, refurbishment, light, electricity, and I´ve never done something like this before. Now I have learnt a lot about electricity, I have learnt a lot about everything. My opinion is that if you like the field where you work, you should work as much as possible. You should be out of your limits. Maybe I am wrong, but I am a quite demanding person and this is the way I am used to work. I like doing everything and sometimes I need to delegate more. Now I have a lot of responsibility on my shoulders and it is a bit stressful. We have done a big investment in this project so we need to promote it and make people be interested on it. Question. 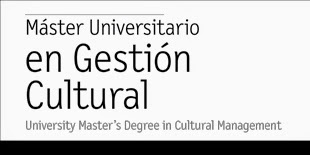 And finally, could you give some of your thoughts as an alumni of the Master’s Degree in Arts and Cultural Management at the UIC Barcelona and offer some advice to those who are assessing the Master in the present academic year? Reply. Being a cultural manager means to follow the mission to develop the culture of a certain place. This is quite serious challenge, which you always have to keep in mind. It is not a simple task job or something you can do on your own. It requires a lot of effort. I encourage new students first of all to be proud of their chosen profession, to learn not for grades, but for the purpose of learning, be brave and not be afraid of risks. This time will not happen again and how you will spend the next year, will guide you through life. Choose an interesting place for your internship, show initiative and creativity, and be not afraid to take responsibility for your words and ideas. Living in Europe and especially in Spain is very relaxing, and here it is important not to relax too much and let the flow take over you. Go ahead with confident steps. To be honest, I am very scared now, because I have encountered many things for the first time and have no idea what the result would be. But I believe in the project, people around me and luck, and as they say nothing ventured, nothing gained! Courage and good luck!